Steven Gerrard says he wants Ibrox to be "rocking" when Rangers host Scottish Premiership leaders Hearts on Sunday. 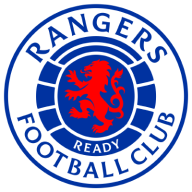 The Gers stormed to a 3-1 home win against Rapid Vienna in the Europa League on Thursday, and are hoping to reduce their eight-point deficit on Hearts this weekend. Gerrard is hoping that the Ibrox fans can replicate the European atmosphere for their league encounter, saying: "We'd love Ibrox to be bouncing and rocking again. I'm sure the supporters are going to be going to Ibrox in good spirits after last night. "But we also have to play our part. We can't start slow and wait for the crowd to lift us. Last night the players fed off the atmosphere and it really took them to a really high level. But the players' quality, their tempo and intensity made the fans even more vocal. "It worked perfectly yesterday and as a manager I'd love to see that again on Sunday. Ibrox was rocking, it was shaking, it was bouncing. I've experienced that many, many times at Anfield. The support was almost like a 12th man and it felt like that last night." But Hearts manager Craig Levein thinks his side are more than capable of getting a result in Glasgow to extend their lead at the top of the table. "We're in good form and I feel we are ready and capable of going through to Glasgow and getting points," he said. "I think it'll be a great game and I'm hopeful we can do enough to come out on top. "We've faced a number of tests so far this season, however, and we've managed to deal with every one we've been presented with. So I'm hopeful that we can do the same again on Sunday. " Ryan Jack is expected to rejoin Steven Gerrard's squad on Sunday. The midfielder has not featured since straining a calf while on Scotland duty last month. Long-term knee injury victim Jamie Murphy remains out while Lee Wallace faces another week or so on the sidelines with a groin injury. Uche Ikpeazu is an injury doubt for Hearts after missing the last few games, and it is touch and go as to his inclusion this weekend. Rangers are unbeaten in each of their last five Scottish Premiership matches against Hearts (W4 D1), winning their last three - the last time they went on a longer winning run against Hearts in the competition came between December 2001 and December 2003 (run of nine consecutive victories). Hearts have won just one of their last 22 top-flight visits to Ibrox (D5 L16), a 2-1 victory in March 2012. Rangers have won six consecutive home league matches, scoring 18 times whilst conceding only two goals. They haven't won seven on the bounce in the top-flight at Ibrox since April 2010, when the seventh match in that streak was a 2-0 win over Hearts. 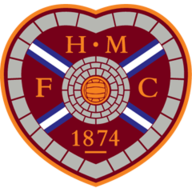 This is Hearts' best start to a season in the Scottish Premiership (19 points from their opening seven games) since 2005-06, when they won each of their first seven matches.